At a historic six-party meeting, Iran agreed to allow International Atomic Energy Agency representatives to its new nuke site. 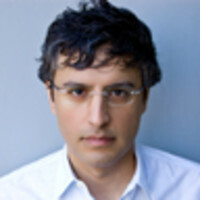 Reza Aslan on why these negotiations are all we have left. Forget about the secret nuclear sites, the missile tests, the saber rattling from Jerusalem, and talk of “crippling sanctions” from Washington. Put aside the stolen election, the legitimacy questions, and the absurd show trials. On Thursday Iran and the United States, joined by the other four permanent members of the U.N. Security Council and Germany, will sit across the table from each other officially, and without preconditions, for the first time to hash out all the issues that have divided the two countries for 30 years—from Iran’s nuclear ambitions and its support of groups like Hamas and Hezbollah, to American foreign policy and its attempts to sanction, contain, and isolate Iran from the rest of the world. So then, without a real military option and with no guarantee that sanctions will have any effect, all we are left with—like it or not—is negotiations. Of course, before the first words of what will likely be months of intense negotiations are spoken, the talks between the U.S. and Iran have already been declared a failure by many foreign-policy analysts and media talking heads. This has partly to do with the pre-talks posturing that took place over the past week. First there was the dramatic announcement made by the U.S., U.K., and France at the G-20 summit in Pittsburgh that Iran has been building a secret nuclear facility deep inside a mountain near the city of Qom—a facility that the U.S. has known about for years but which was conveniently revealed on the eve of the Geneva talks. Then there was Iran’s predictably bellicose response a day later in the form of expansive missile tests, including a test of the country’s upgraded Shahab-3 missile, which may have the capacity to reach Israel (congratulations, Iran, your weapons system has finally entered the 20th century). But the widespread predictions of diplomatic failure are also based on the differing views that Iran and the U.S. seem to have on the exact purpose of the talks. For the United States, these negotiations are, at least initially, supposed to be about one thing and one thing only: Iran’s nuclear ambitions. True, there are many other (one could say, more immediate) issues that the United States would like to discuss with Iran. After all, most of America’s foreign-policy goals in the region—from the Middle East peace process to the military disengagement from Iraq and the military “surge” in Afghanistan—will require Iranian support to succeed. But it is clear that unless American diplomats feel they can make some progress in dealing with the Iranian nuclear issue first, they will not be willing to make the concessions necessary to garner Iran’s assistance on other, one could argue more immediate, matters. • James Carroll: Your Move, Mr. AdmadinejadIran, on the other hand, while seemingly willing to talk about its nuclear program, understands the purpose of talks with the U.S. in much broader terms. For the Iranians, all issues of contention must be put on the table: sanctions, trade, nukes, Israel, Iraq, Afghanistan. Iran is pursuing what some foreign-policy analysts have taken to calling the “grand bargain approach,” wherein the purpose of negotiations is to move inexorably toward normalization of relations. That is precisely what Iran’s foreign minister, Manouchehr Mottaki, meant when he told The New York Times that the negations in Geneva must be a “two-way street” and not just focused on Iran’s nuclear program. Such talk tends to send Israeli officials and their more hawkish counterparts in the U.S. into a frenzy. In fact, the prevailing sentiment among the Israelis (and some Republicans) is that these talks are nothing more than a prelude to an inevitable military attack on Iran’s nuclear facilities. That view is clearly not shared by the White House. Indeed, Secretary of Defense Robert Gates has all but ruled out the possibility of any kind of military attack on Iran. “The reality is there is no military option that does anything more than buy time,” Gates said in an interview with CNN last Sunday. And while Israel’s deputy foreign minister, Danny Ayalon, recently went out of his way to reiterate that his country could conceivably take matters into its own hands, the fact remains that Israel has no means of performing a targeted military strike on Iran without U.S. authorization, which Israel needs not only to fly over Iraqi airspace but also to refuel its planes for the journey back home. Such support is not likely to come from the Obama administration; not even George W. Bush would agree to assist Israel in its military plans. Former National Security Adviser Zbigniew Brzezinski may have raised some eyebrows recently when he said the U.S. should consider using force to prevent Israeli planes from reaching Iran (“We are not exactly impotent little babies,” Brzezinski told The Daily Beast. “[The Israelis] have to fly over our airspace in Iraq. Are we just going to sit there and watch?”), but he did have a point. Without American support, an Israeli attack on Iran is simply unfeasible. The lack of a viable military option explains why there is so much talk in Washington of what Secretary of State Clinton calls “crippling sanctions” against Iran. This would include greater restrictions on Iran’s banking industry and, perhaps, an embargo on Iran’s gasoline imports. (Although it sits on the second largest supply of oil on the planet, Iran is forced to import nearly 40 percent of its gasoline because its crumbling oil infrastructure cannot refine enough oil to meet its demands.) Such an embargo also seems unlikely, especially now that China has inked a deal to provide Iran with about a third of those gas imports. In any case, it remains doubtful whether more sanctions would lead to a change in Iranian policy. In fact, all American sanctions against Iran seem to have accomplished thus far is to open the door to Russian, European, and Chinese companies to dominate the Iranian market. In short, without a real military option and with no guarantee that sanctions will have any effect, all we are left with—like it or not—is these negotiations. So then, no matter what else has happened up to this point, no matter how pessimistic the press has been about the possibility of success in these negotiations, no matter how much all sides are trying play down both the significance and the expectations of these talks, what is taking place right now in Geneva is not only a historic and positive step that could possibly lead to rapprochement between these two intractable enemies. It is, at this point, the only option we have left.